The Belvidere Fitness Court is NOW OPEN! 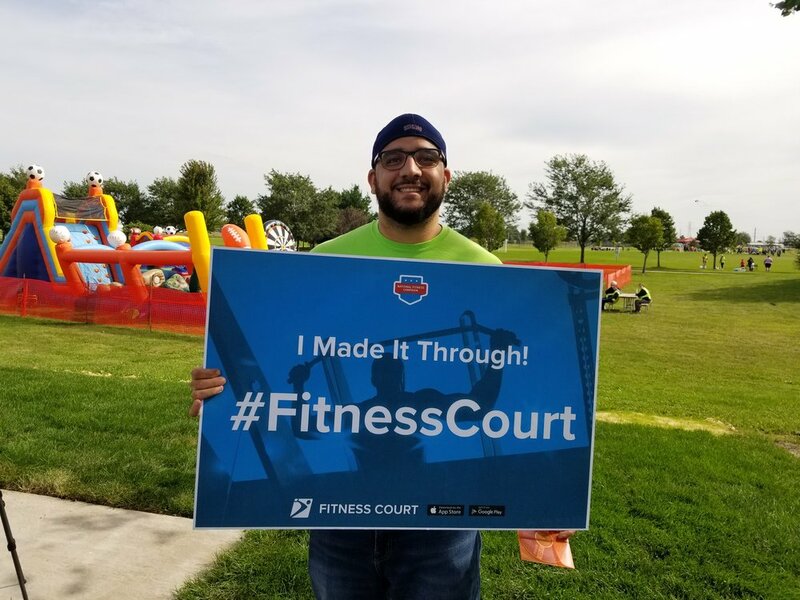 In the state of Illinois, Belvidere has become the next of 100 elite communities nationwide to join the 2018 National Fitness Campaign and install an outdoor Fitness Court! This state-of-the-art gym, located at Prairie Fields Sports Park, will provide a world-class exercise experience for adults of all ages and fitness levels. 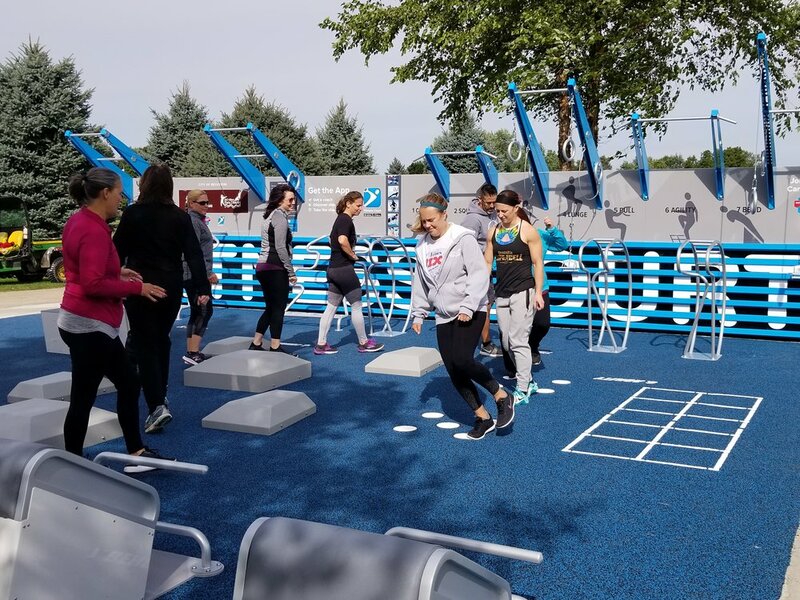 The new one-of-a-kind Fitness Court has come to life thanks to a collaboration between OSF HealthCare and the Belvidere Park District. Both groups see a major value in bringing a free and accessible fitness option to their community, and partnered with National Fitness Campaign to make it happen. With the addition of this wellness infrastructure, the City of Belvidere challenges communities statewide to follow suit, and place healthy living at the forefront of their mission. The Opening Day Launch Party included an official ribbon cutting, giveaways, guided Fitness Court routines, a community fitness challenge and more! THANK YOU BELVIDERE FOR PUTTING FREE FITNESS ON THE MAP!